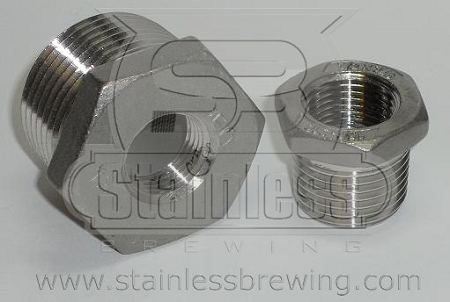 These types of fittings are what SB is all about - flawless construction and right on the money too. Definitely worth ordering from Zak here folks - never a bad thread once in two years! I switched from gravity fed to a pump recently. The hex bushings were forletting reducing my 3/4 valves to 1/2 cam lock fittinga. The bushings fit well with my existing equipment and were at the best price i could find.